Israel continues to attack Civilian Population and buildings of Gaza with Air Strikes which is resulting in deaths of dozens of innocent Men, Women and babies. You would be surprised to know that Israel is not even leaving Palestinian Ambulances. 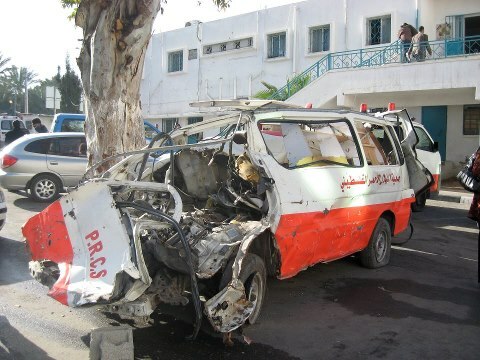 Following is a Picture of Palestinian Ambulance which was destroyed in Israeli Air Strike.